As the investigation into the deadly Southwest plane malfunction, one survivor from that plane says he believes he was put on that plane for a reason. 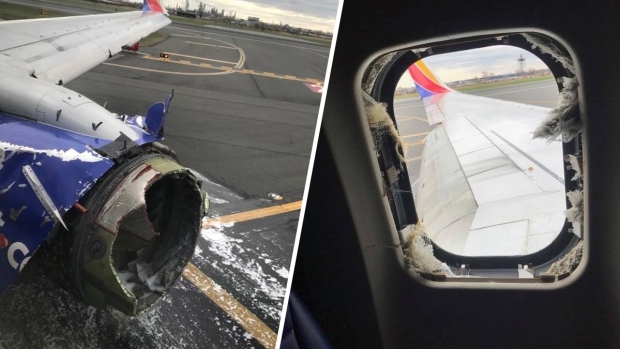 When an engine on a Southwest flight blew shortly after take off, debris went flying like shrapnel into the plane and broke a window. The suction pulled a woman sitting near the window partially out of the plane. Tim McGinty was sitting across the aisle from the woman, later identified as 43-year-old Jennifer Riordan. The farm and ranch real estate agent from Texas said he initially felt helpless watching Riordan "flying out the window" as the vacuum pulled the "petite lady." And then he thought: "Maybe I could help." "I wasn’t strong enough. A fireman, from Celina, Texas, jumped in there and helped, and between the two of us we were able to get her back in," McGinty told reporters Tuesday after Flight 1380 made an emergency landing at Philadelphia International Airport. 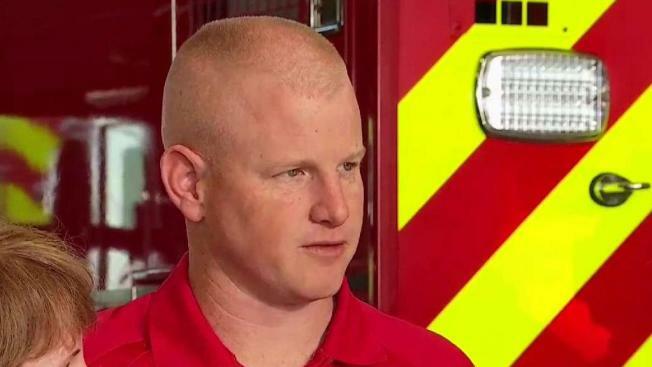 Firefighter Andrew Needum was surrounded by family members on the flight headed to Dallas from New York's LaGuardia Airport when they heard a "loud pop." Needum said he heard a commotion a few rows behind them as the oxygen masks dropped down. After making sure his family was secure, he said he looked his wife in the eyes and she "basically gave me the approval to go back there," Needum recalled at a news conference Thursday. After pulling the passenger out of the smashed window, Needum and fellow passenger, Peggy Phillips, a retired nurse, began performing CPR on the gravely injured woman. But the Wells Fargo Bank executive and mother of two from Albuquerque, New Mexico, did not survive. Seven other victims suffered minor injuries. Needum said Thursday that "God created a servant heart in me" and he felt moved to act. "I'm no different than any other firefighter in this country," he added. The pilots of the twin-engine Boeing 737 with 149 people aboard made an abrupt turn toward Philadelphia and began a rapid descent following the engine failure 20 minutes after taking off from New York's LaGuardia Airport. Oxygen masks dropped from the ceiling, and passengers prayed and braced for impact. 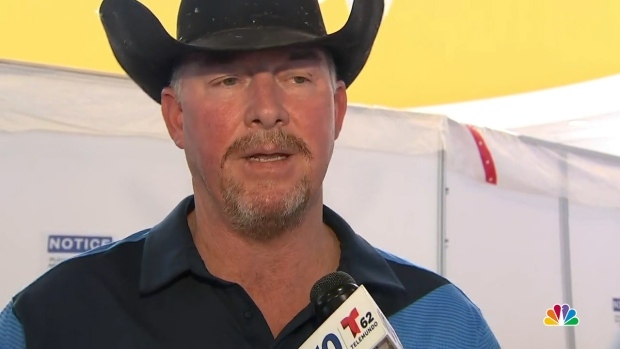 "It seemed like two minutes and then it seemed like two hours," McGinty, donning a cowboy hat and a bandage around his arm, told reporters. Passengers praised one of the pilots, Tammie Jo Shults, for her coolheaded handling of the emergency. The former Navy pilot was at the controls when the plane landed, according to her husband, Dean Shults. She walked through the aisle and talked with passengers to make sure they were OK after the aircraft touched down.